Google seems to be marketing their upcoming event and the Pixel like no other In the past, Nexus phones received a random blog post or a private press invite, that's it. But this time it is different, the device is not even released yet and they are going full on it. 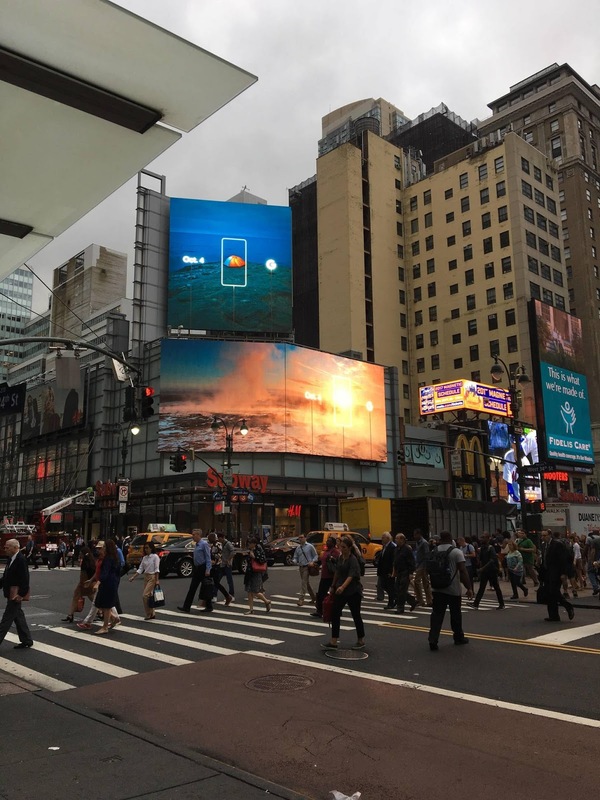 Here's a Pixel / October 4th event advertisement photo from New York City. Google seems to be going all in with the Pixel this time around and that's just awesome. They're advertising this event all over the place from TV advertisements to web ads to huge billboards. The image is a static image, as reported. That displayed for about 5 seconds. Then it cut over to different ads. Came back around to this ad about every 30 seconds ish.